SAN FRANCISCO (KGO) -- A homeless man in San Francisco has received a $100,000 reward for helping local police capture fugitive inmates from Southern California. 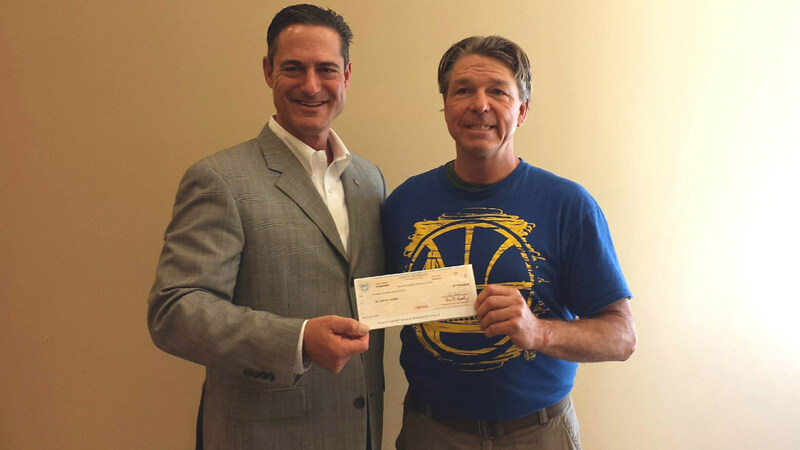 Orange County Supervisor Todd Spitzer personally delivered the check to Matthew Hay-Chapman on Thursday in San Francisco. "Matthew Hay-Chapman described to me that he felt it was his 'duty' to report the escapees," Spitzer said. "His brave actions were a reflection of his character and I hope the reward will help him out." In an interview last month, Hay-Chapman told ABC7 News that if he got the money he'd like to use it to start a new life and help his grown children who have also had some tough times. 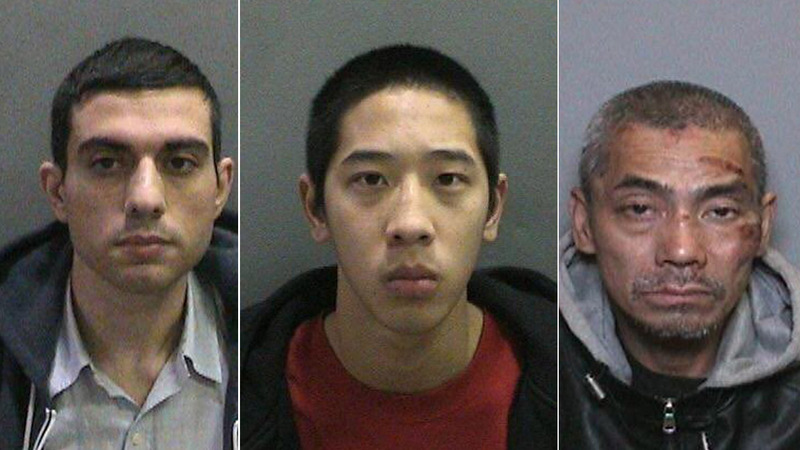 Jonathan Tieu, 20, Hossein Nayeri, 37, and Bac Duong, 40, escaped the Orange County Central Men's Jail on Jan. 22. The trio concocted an elaborate escape plan that involved cutting through steel bars, plumbing tunnels and rappelling down the jail's roof. With direction from the Orange County Sheriff's Department on Tuesday, the county board of supervisors divvied up the $150,000 reward offered after the three inmates escaped. The board voted to give the money to four people: two employees at a Target in Rosemead who called police after spotting inmates Tieu, Nayeri, and Bac Duong; the man who gave police details about his now infamous stolen van posted on Craigslist; and Hay-Chapman, who directed police to Nayeri and Tieu. Hossein Nayeri, 37, Jonathan Tieu, 20, and Bac Duong, 43, are shown above in undated mugshots. After a few days on the run, Bac Duong turned himself in. On Jan. 30, Nayeri and Tieu were located in a stolen white van near Golden Gate Park in San Francisco.